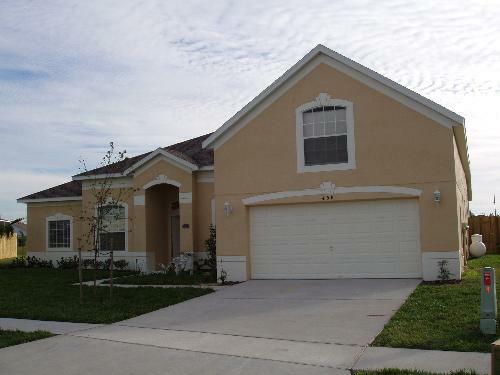 6 bedroom, 4 bathroom villa in the Hampton Lakes community. Owned by Kevin Parkinson / Iain Jackson. Ref: 1873. With some 3345 square feet of living space which includes 6 large bedrooms, 4 bathrooms, lounge with 52 inch cable TV, dining room, kitchen, laundry and a games room complete with slate bed pool table, playstation, TV, VCR and DVD. 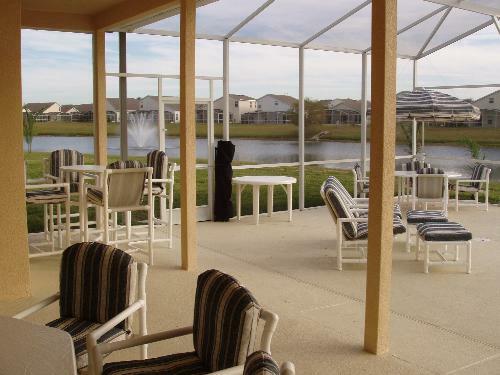 Silk House, our privately owned 6 bedroom / 4 bathroom ( 2 en-suite) villa, comfortably accommodates 14 guests and is located in the Hampton Lakes community which is ideally located for all of Orlandos attractions, shopping areas, restaurants, golf courses and is within easy reach of the Interstate 4 which provides access to either coast of Florida. 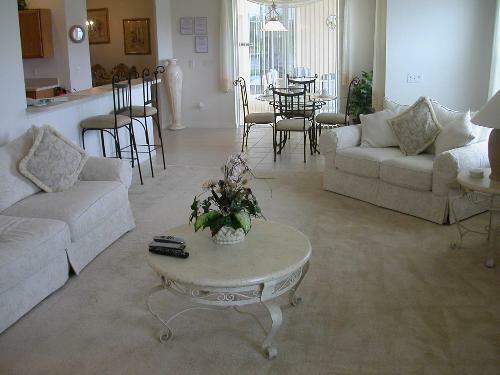 The villa is fully registered and licensed with the Florida State Tourist Authority and our local representative, who ensure that the property is cleaned and maintained to the highest standards, are always on hand to assist in any way possible in order to ensure that you have a trouble free holiday. 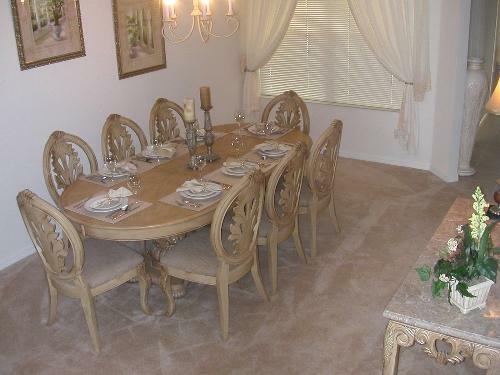 Hampton Lakes is set among orange groves and gently rolling hills. It is an exciting new development of luxury appointed homes with sparkling pools which create an atmosphere of relaxing peace and tranquillity. Communal facilities include childrens playground, tennis courts, basketball court, beach volley ball court and an additional larger swimming pool. The nearest supermarket, restaurants, bars and stores are within 1 mile. Located off Highway 27 approximately 2 miles south of the western end of Highway 192, Hampton Lakes is only 10 minutes from World Drive, the entrance to Disney World, Animal Kingdom, Epcot Centre, MGM Studios, Blizzard Beach, Typhoon Lagoon, Pleasure Island, Disney Village and Downtown Disney. Seaworld is 20 minutes away and within 30 minutes you can reach Universal Studios, Universal Islands of Adventure, Downtown Orlando, The Beltz outlets and Florida Mall (the states largest shopping mall). 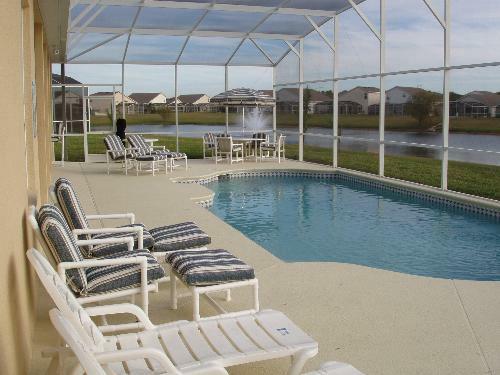 Equally, both coasts are within easy reach using Interstate 4 with Cocoa Beach and Kennedy Space Centre about 1 hours drive away, whilst Tampa and the white sands of the Gulf coast can be reached comfortably within 1.5 hours. There are numerous golf courses within 30 minutes drive. 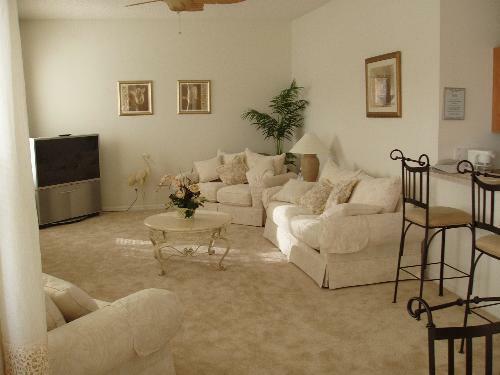 A generous 18.6’ x 19.9’ room providing additional living space furnished in a similar style to the main family room including a 7 seater settee, 27inch cable T.V. 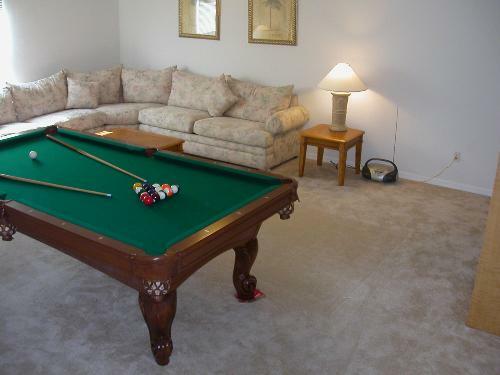 and a fully equipped Pool Table as an extra touch for your enjoyment. For those who wish to relax in other ways, we have also provided a number of family games and a modest library for your perusal. including; T.V., a full size self cleaning electric cooking range, microwave oven, dishwasher, waste disposal unit, fridge freezer with ice machine, coffee maker, blender, electric can opener and many other labour saving devices and also a telephone from where guests can make local calls free of charge. Long distance and International calls can be made through the use of a pre-paid telephone card which can be purchased at any drug store, convenience store, gas station or supermarket. Equipped with large capacity commercial automatic washing machine and tumble dryer. 6 seater Jacuzzi which backs onto a lake. Furnished with ample comfortable sun beds and reclining chairs, 2 dining tables with parasol, 14 padded chairs and gas fired B.B.Q., bar table and stools. The pool is fitted with automatic cleaning and filtration equipment, underwater lighting, and an electric heater for the cooler months in the winter. The Jacuzzi, with its’ own underwater lighting can be separately heated by gas. Overlooking the pool area on the ground floor, this 14’ x 14’ bedroom , fully furnished with a dresser, mirror, T.V., chaise lounge and nightstands and boasting a huge American King size bed, spacious en-suite bathroom comprising of ; double washbasins, bath tub, large walk-in shower and a separate WC From the en-suite there is access to the large walk in wardrobe which contains the safe and ample room for the suitcases . 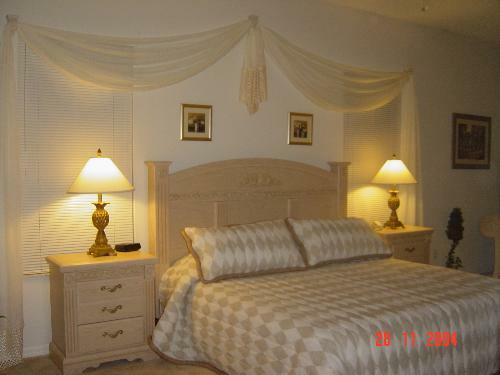 Located on the first floor - 15.11’ x 11.2’ Fully furnished with dresser, mirror, night stands T.V. and a King size bed, walk in wardrobe and en suite bathroom including a washbasin, toilet and bath with shower. 12.4’ x 11’ Fully furnished with a dresser, mirror, nightstands and a Queen size bed (equivalent to U.K. King size), walk in wardrobe. 14.3’ x 12’ Fully furnished with T.V. 1 double bed, 1 single bed and walk in wardrobe . 13’ x 11.6’ Fully furnished with double bed and walk in wardrobe. 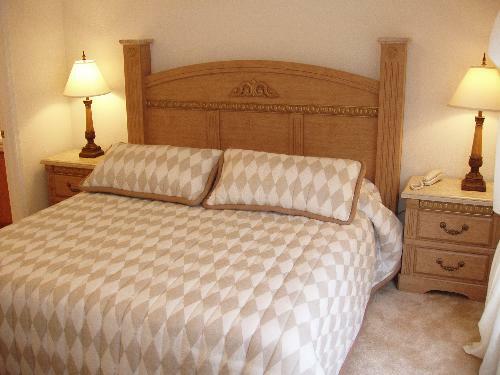 12.5’ x 15.5’ Fully furnished with 3 single beds ( 2 bunk)T.V. and walk in wardrobe. Located on the ground floor with a door from the hallway and a door from the pool area contains a walk in shower, wash basin and W.C.
We booked this Villa for a big family get together and a big birthday celebration. This is the first review I have done although I depend heavily on them when booking our holidays. I have to admit we were very cautious about booking direct with the owner and only relaxed when we put the door code into the villa and stepped inside. The photos of this Villa do not do it justice, it was spotless clean, comfortable and every room was huge and had every amenity you could possibly need (and more). There was some basic groceries, bathroom essentials etc on arrival to keep us going until we went to the supermarket. The pool is by far one of the largest and was spotless clean. The view onto the lake is amazing and we made a point of feeding the ducks, the 16 soft shell turtles and the single Terrapin every day (they loved bread). We had a couple of small issues during our 3 weeks there with the Air Con but Ron and Elliot (the service contacts) were great and responded immediately and fixed them. One small issue was that most of the pool recliners webbing was torn but we fixed them easily with some duct tape as they would have needed to be removed otherwise and there was 11 of us there. All in all an excellent holiday and I would thoroughly recommend this villa. Your enquiry will be sent to villa ref 1873 only. This page has been viewed 29346 times since 05 Jan 2005.